Having the right EAP is more important today than ever before. The National Institute of Mental Health indicates that behavioral disorders affect 20 percent of the workforce and cost more than $44 billion annually in medical expenses and lost productivity. You deserve an EAP that has a long history of providing best-in-class healthcare service and the ability to build a plan that matches your company’s needs and budget. Just ask the 1,000,000-plus employees who are covered by HMSA and they will tell you why HMSA is their trusted EAP partner and the right choice for you. 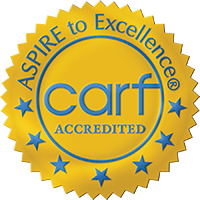 HMSA is one of a small number of EAP firms who have twice been awarded a full three-year accreditation from the Commission on Accreditation of Rehabilitation Facilities (CARF). Our staff’s average experience exceeds 17 years in clinical and account services. They have proven their commitment to our customers by having been awarded the coveted Sloan Award, and are a two-time winner of the 101 Best and Brightest award. Your employees will receive industry leading care and you will receive unprecedented support services. HMSA is one of the few independent national behavioral healthcare companies. We are not owned by nor affiliated with any pharmaceutical company, insurance company, hospital corporation, or treatment agency. Our treatment decisions are unbiased and objective. We choose the right treatment for your employee based on need. The result: better care and increased financial accountability. Supporting HMSA’s clinical staff is an extensive national network of behavioral specialists who meet strict privileging requirements. This network now includes thousands of professionals in over 3,000 cities throughout the continental United States and around the globe through our international EAP network. No matter where you live, work, or travel, HMSA is there for you. We are a national company that understands your EAP service should be local and more importantly, personal. Throughout our network of professionals, we provide the brightest and the best in people and services to ensure that your employees obtain the care they need. At HMSA our first priority is the well-being of your employees. That is why we maintain a flexible ceiling within all of our EAP programs regardless of the number of sessions contractually defined. Our counselors have the authority to continue sessions at no additional cost if continued care is necessary. Your employees will never be turned away because of a hard and fast session limit. By utilizing industry leading analytic data platforms, HMSA’s forward-thinking clinicians and management team stay in front of the competition, constantly adapting and improving programs to provide the highest level of return on investment to our client partners. Our analytical measures of ROI and program demographics are backed by several clinical studies and white papers which have established our ROI tool and reporting system to be the most comprehensive and credible in the industry. Your company receives unparalleled program data and information required to make financial and operational decisions. Utilizing our advanced call center, HMSA is able to link callers seamlessly to counseling professionals while simultaneously monitoring peek call volume, average speed of answering, abandonment rate, and access to care. Today’s clients enjoy several convenient counseling options. In addition to face-to-face counseling, we offer confidential online video and texting short-term problem resolution for those who prefer to utilize today’s technology. HMSA makes it easier than ever for your employees to get the help they need. The result: more employees utilizing their EAP which means a more satisfied, productive workforce. Our proprietary VIATV Network provides a low-cost alternative to traditional training methods. VIATV Network uses live streaming video to train any size employee group regardless of location or what platform you chose to watch on it on. VIATV Network provides a clear, simultaneous broadcast for all to follow and participate in. Efficient and effective training made simple. Online viewing eliminates the hassles of coordination and expenses related to travel. The result: better trained, more effective employees. Clinical studies have proven that maximum savings come from managing clinical care, not from denying it. HMSA has used its 30-plus years in managing care for some of the nation’s largest health insurance carriers to determine the most efficient clinical pathways while yielding positive clinical outcomes. Our programs help managers and employees gain control over problems that interfere with work performance and daily life. Evidence supports that these problems, if left unresolved, may negatively impact job performance, absenteeism, healthcare spending, and employee health and well-being. HMSA’s EAP and Wellness plans are focused on bottom-line results. 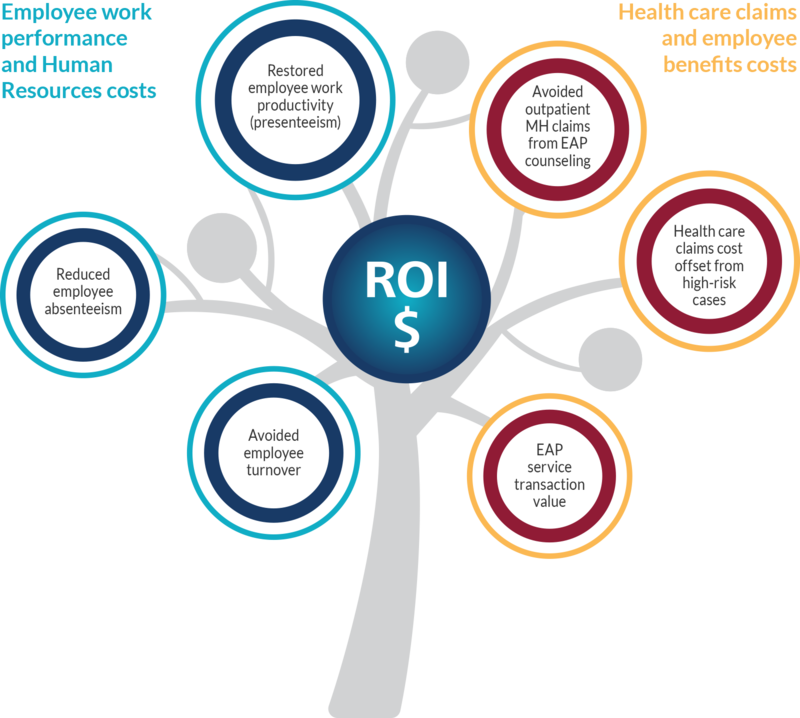 Our return on investment (ROI) reporting tool uses what is known as our Three C’s of ROI, and acts as our guiding principals in documenting value to our clients. 30-plus years of experience and field research-based data to determine financial outcome. The utilization of customer specific data to predict client specific ROI. Using conservative calculations to ensure ROI is attainable. Rotate your device to its horizontal orientation to view a larger version of this infographic. At HMSA we partner with you to develop a customized solution that provides the best in EAP coverage in combination with your financial requirements. We take into consideration the costs that go beyond the monthly EAP premium. A truly cost-effective EAP will consider the cost of outside referrals, the cost to the company to activate health insurance, provider network rates, and member copays. Creating an EAP that best fits your company is what we call inspiring solutions. We are proud to say that several hundred companies and organizations have made HMSA their EAP provider. Our time-tested approach to bringing your company on-board will assure you of a smooth, effortless transition. Our experienced account management staff has successfully managed the implementation of thousands of new client programs spanning over 35 years. A proven rollout process ensures that no details are overlooked. Once your program is implemented, your designated account manager will be there every step of the way to help with all of your needs. Our experienced staff have implemented thousands of new client EAP programs over the past 30 years. Our proven rollout procedures ensure that no details are overlooked and require minimal client requirements. Just leave it to us! Actual rollout may vary by program design.